Is there another medium as nostalgically in love with itself as film? You don’t really see many paintings about the painters of yesteryear, or novels about novelists from the 19th century. Hollywood, on the other hand, loves looking at itself back when it was younger, had fewer wrinkles, and Michael Bay wasn’t even a twinkle in ILM’s eye. In the run-up to the last Oscars, there were two major examples of cinema yearning for its heydays: Martin Scorsese’s Hugo and The Artist, a French film whose point of reference is nevertheless the American movie scene of the early 20th century. Both received a fair share of accolades and both put a lot of emphasis on charming their audiences. Both movies are accomplished in many ways, but I’m somewhat torn on them: while I loved Hugo more, I have to say I appreciate The Artist more as a film. 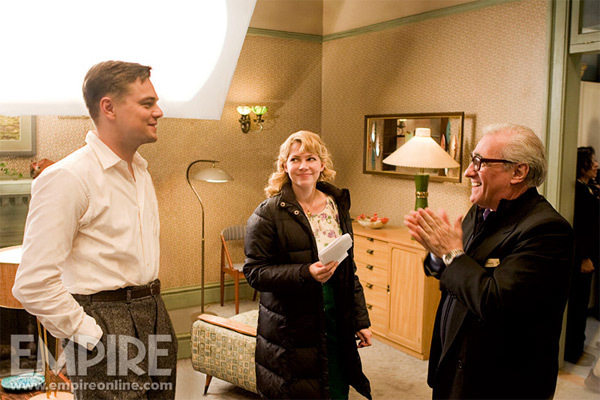 Scorsese’s obviously one of the greats of cinema, and deservedly so. Taxi Driver, Raging Bull, Goodfellas, but also The Last Temptation of Christ, Kundun or the concert film Shine a Light – the man has a strong style, but he doesn’t remake the same film over and over again. Hugo is strange for him in some ways, as Scorsese’s never shied away from gritty, violent themes; trying his hand at a family movie is decidedly new for him. Having said that, there are definite stylistic links between some of his more recent period pieces, especially Gangs of New York and The Aviator, and Hugo, in that a lot of emphasis is put on creating a world. And what a world it is – the Paris of the film is not real in any way, but the train station in which most of Hugo takes place is a beautifully imagined, intricate world. At the same time, Scorsese’s latest feels like it’s at least two different films, one for children who enjoy Little Rascals-style capers and broad characterisation, and one for people who love the cinema. Narratively these two are bridged by the sadness at the heart of the film, embodied by the titular character who has lost his father, but the result is a work that doesn’t always feel coherent. After seeing the film I walked out of the cinema feeling a warm glow for the love letter to the movies that I’d just seen, but I also sat in the dark feeling impatient for the slapstick, the scenes of Hugo running away from a panto-style villain and the “gosh, it’s an adventure, isn’t it?” enthusiasm of Chloë Grace Moretz’s character to end and for the film to get back to Méliès. The scenes that are primarily about the magic of movies are beautiful and poignant – much of the rest of the film first and foremost made me think that it’s been decades since I was twelve years old. Perhaps I’m not the ideal audience – but I honestly wonder whether a twelve-year old would be all that likely to respond to the scenes focused almost entirely on Méliès and on film history. How many twelve-year old film buffs are there? While I share Hugo‘s love for cinema, I’m by and large indifferent to silent movies, to the extent where I don’t even remember if I’ve ever seen an entire one. (Yes, I do feel a bit guilty about never having seen Metropolis. Happy now?) I’m not sure The Artist‘s makers are nostalgic to the era where films were silent, either, or that they wanted to start a new wave of dialogue-free films. (Our cinema showed a Swiss short beforehand, also silent and fashioned as a pastiche of the original films of the ’20s. It was unbearable, smug and shallow, having nothing going for it other than wanting to emulate the style.) Take away the self-conscious, meta-cinematic elements and The Artist doesn’t work; but it’s this (dare we say postmodern?) playfulness that is as central to the film as the considerable charms of its two leads, Jean Dujardin and Bérénice Bejo. The film’s a meringue, as I would put it: sweet, delicious and so light the slightest puff of air could blow it away. It doesn’t have much substance in any conventional sense – but charm, style and wit can have a substance all of their own. What The Artist finally does better than Hugo is this: it’s perfectly formed, it comes together into a whole. It is a complete film rather than two half-films patched together, with considerable skill that nevertheless cannot hide the join. And for all of Scorsese’s talent, The Artist works better because it has made a decision what sort of film it wants to be, and then it’s about the best such film it can be. As far as meringues go, it’s just about one of the best I’ve had. 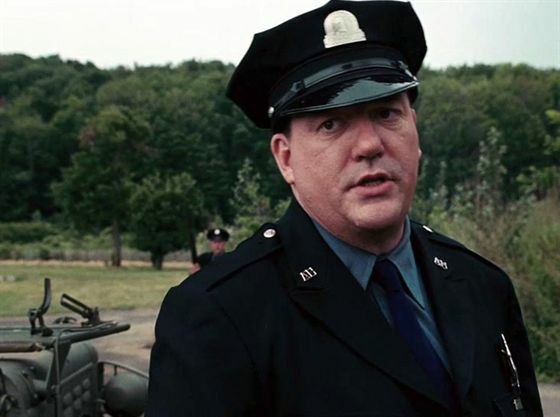 It’s a detail, a cinematic in-joke invisible to all but film afficionados, but it adds to the ominous atmosphere on Shutter Island: the two head wardens of the mental hospital are played by Ted Levine and John Carroll Lynch – Jame “Buffalo Bill” Gumb from Silence of the Lambs and Arthur Leigh Allen, the main suspect from David Fincher’s Zodiac. With these two in charge of security at Ashecliff Hospital, you wonder: are the inmates in charge of the asylum, or are the patients even more insane? Even the benevolent doctor, played by Ben Kingsley at his most unctuous, serves to make us more paranoid rather than comforted. The main attraction in this Scorsesean Gothic horror, though, is Shutter Island itself: the location immediately joins an exclusive list together with Bates Motel, the Overlook Hotel and the abbey in The Name of the Rose, as one of those places that feed the imagination. Anything might be hiding in that old lighthouse, and the carpets of Dr. Cawley’s residence exude a sense of foreboding. The place breathes a diseased past: you get an almost tactile sense that things have happened here, things that shouldn’t be. Things that, in fact, didn’t happen. The true horror house, as so often, is the human mind, protecting itself as it knows best: by inventing alternative histories that become more real, more believab le, and certainly more necessary than what has really happened. Scorsese and Lehane’s psychological horror yarn isn’t original, and those who have seen or read similar stories will not be overly surprised by the main twist ten minutes before the end. But it’s been a while since the twist, its lead-up and denouement havve been told with such sensuality. The film is rarely subtle, but damn, if you don’t feel the clammy fog of Shutter Island stick to your skin as you leave the theatre.